Now that autumn has arrived, Shakti is gearing up for this season’s most unique getaways: Shakti Kumaon and Shakti 360° Leti will be open from October 1 until April 30, 2012. Located in Uttarakhand, a north Indian state known to locals as the “abode of the gods,” Kumaon is nestled between the snow-capped peaks of the Great Himalaya Range and the breathtaking Almora and Nainital hills, making it the perfect destination for a one-of-a-kind escape full of authentic, culture-rich Hindu experiences. Travelers will meet friendly locals and explore ancient temples, some of which are Hinduism’s most spiritual and beloved places of pilgrimage and worship. Nights will be spent in traditional village houses that have been lightly retouched to include Western creature comforts. Enhance a Kumaoni experience with a three-night stay at Shakti 360˚Leti, the magnificent four-cabin mountain retreat perched at an impressive 8,000 feet. No need to bring your Blackberry: with no electricity or Internet connectivity, you can truly go “off the grid,” unplug, and experience a more spiritual way of life. Rates begin at $1,307 per person based on two or three adults traveling, and include accommodations, food and beverage, activities, accompanying English-speaking guide, porters, car at disposal, taxes, and roundtrip transfer between Kathgodam train station or Pantnagar airport and village houses. A three-night, four-day package at 360˚ Leti starts at $1,916 per adult, based on two traveling on a twin/double share basis. Rates include roundtrip transfer between Shakti Kumaon and Shakti 360˚ Leti. It can sometimes be a challenge to be ‘green’ and reduce our impact on the environment, but Anantara is making it easy even while on vacation! Its Bali property, Anantara Seminyak Resort & Spa, just received Green Globe Certification, making it the very first hotel in Bali to be awarded with this distinction under the revised standards. Not only that, but the resort has also just won the ‘Green Globe Highest Achievement Award: Asia 2011.’ Green Globe rates hotels based on 320 separate sustainability indicators, and Anantara Seminyak proudly meets 76% of those requirements – an impressive feat! 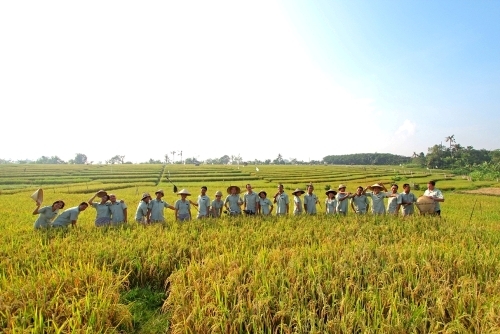 Anantara is serious about preserving the environment not only in Bali, but at all of its properties. Sister property Anantara Golden Triangle Resort & Spa in Thailand has also recently achieved Green Globe Certification. So pack your bags and go green with Anantara! COMO Hotels and Resorts is giving back to the community with your help! In 2010, COMO partnered with MasterCard for the Purchase with Purpose program which helps raise funds for local community projects. Last year, the project raised $35,580 and COMO has decided to bring the program back for 2011! For every transaction made with a MasterCard card at a COMO property between 1 October and 31 December 2011, MasterCard will donate $30 to a community project with which the COMO property is closely affiliated. The money raised goes to educational and wellbeing initiatives as well as to local schools to improve nutrition and sanitation. In 2010, the funds helped stock the libraries of Tirta Kumara Kindergarten in Bali and the Maafushi and Guraidhoo schools in the Maldives. The program also helped deliver sanitary essentials to the nuns of Kela Goemba in Bhutan and improve sanitation and cooking facilities in the Wat Bangploeng School in Thailand. With this program, guests have the opportunity to make a real difference in the communities they visit. 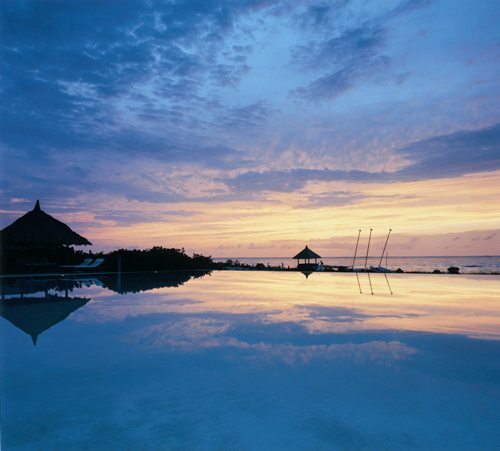 As if you needed a better reason to go on vacation! After a seven-month closure to transform its interiors, to pare its exteriors back to its barest bones, and to undergo a hotel redesign nearly from scratch, the landmark Park Hyatt Sydney will reopen in late 2011 after the largest and most comprehensive renovation in the hotel’s 21-year history. Located in the Rocks district of Sydney’s city center, the storied waterfront where Australia was first settled, the hotel will be reimagined by Melbourne-based design firm BARStudio with new rooftop suites, fully upgraded guest rooms, and fully remodeled public spaces. Elements of Sydney’s historic and contemporary landscape will be woven throughout and will include the use of regional building materials and local artwork. Views of iconic Sydney Harbor and the Opera House take on new meaning with a series of new floor-to-ceiling windows throughout almost all areas of the property, completing the large-scale redesign. The original 1990 foundation, located on the Rocks’ original slipway, site of the Sydney Water Police Headquarters from 1885-1986, is being rebuilt of traditional Sydney sandstone, historically used as a canvas for aboriginal rock carvings and as a building material by local architects dating from 1788. 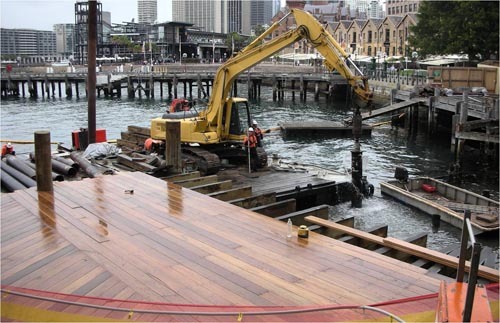 The boardwalk surrounding the hotel’s entrance is being reconstructed using Spotted Gum, a timber native to a number of regions in Australia. In addition to using locally-sourced building materials, measures designed to lessen the impact of the hotel’s environmental footprint include energy-efficient lighting and water-saving devices. All guest rooms are being completely redesigned to enhance the guest experience and highlight the hotel’s harborfront location. An additional floor is being constructed to accommodate three new rooftop suites, each to feature expansive balconies and appropriately luxe amenities. The Sydney Suite, Park Hyatt Sydney’s new presidential suite, will feature an outdoor dining table on a 1,000 square-foot balcony as well as kitchen prep and cooking space for a personal chef for savoring Sydney’s finest ingredients en plein air. All suites will have floor-to-ceiling glass doors opening onto a private balcony overlooking Sydney Harbor, and formerly four-paneled floor-to-ceiling windows will be replaced with two larger panes to make for clearer views of the city outside. In addition to new design elements, notable service enhancements will include twice the former number of hotel butlers to assist all hotel guests and new restaurant-style, hand-carried in-room dining instead of the traditional roll cart. Park Hyatt Sydney has selected a small group of renowned Australian artists to create sculptures, paintings, and photographs inspired by The Rocks and Harbor to connect public spaces and guest rooms to Sydney’s past and present. Commissioned artists include painter Tim Johnson, sculptors Bruce Armstrong and Robert Bridgewater, and photographer Robert Billington. Johnson’s paintings depict the ‘old’ Rocks area and ‘new’ Harbor Bridge, while Armstrong’s figurative sculpture made of native Australian Red Gum depicts two faces of The Rocks’ historical settlers. Additional art objects in guest rooms include custom-designed handmade porcelain pieces sourced from a local potter. In addition to private dining options, guests will be able to enjoy locally-sourced and bio-dynamic cuisine in The Dining Room, the hotel’s premier restaurant. Its entire façade is being reconstructed to perfect the Opera House view from all possible angles through floor-to-ceiling glass windows. In addition to dining room enhancements, bar goers will be able to glimpse these same views from any barstool perch at The Bar or the all-day casual dining venue, The Living Room. JetBlue is offering roundtrip flights New York (JFK)/Nantucket (ACK) for just $98 from now until October 10. Take advantage of this great deal and enjoy everything Nantucket has to offer in the fall – beautiful autumn weather, dwindling crowds, and amazingly low hotel rates at Nantucket Island Resorts! Schedule your trip around the Nantucket’s Cranberry Festival, October 7-9, for a chance to see the island’s famous Windswept Cranberry Bog, one of the few certified organic bogs in the county and open for just a short time in October when berries are harvested. Indulge in delicious cranberry creations and enjoy the seasonal bog tours, hay rides, and sheep-shearing. Burn off those extra calories with a bike ride down the recently resurfaced 6.4 miles of bike paths, tee off on Nantucket’s top-notch Sankaty Head golf course, or simply wander the cobblestone streets lined with pre-Civil War architecture. 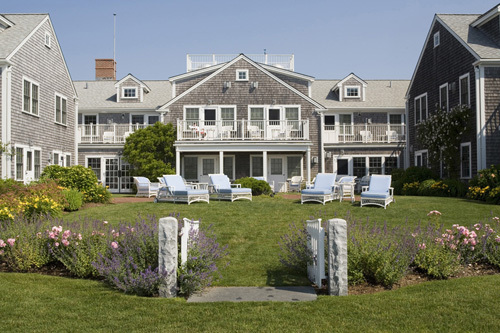 Not only is the airfare low, the rates at some of Nantucket’s most popular hotels are also reduced throughout the fall, making a Nantucket trip a no-brainer. The Cottages & Lofts at the Boat Basin from $175 | Enjoy the views of the harbor from the docks, where The Cottages are located on three wharves jutting out into Nantucket Harbor. The Wauwinet from $225 | Play a game of tennis, or engage in a cooking class with Chef Kyle Zachary in the kitchen of TOPPER’S restaurant. White Elephant Hotel Residences from $350 | Enjoy all of the complimentary extras that the Residences offers, including access to the hotel’s private swimming pool (in season) with daily fruit and ice cream service. Jared Coffin House from $125 | Relax just steps away from Nantucket’s Main Street in this historic inn’s newly decorated guest rooms. Additionally, guests of the Jared Coffin House receive 10 percent discount on brunch at the Brick Bistro, part of the Jared Coffin House. Now that fall is on the way and the days are getting shorter, we are dreaming of ways we can stretch the weekend just a little longer—especially while traveling! Victoria-Jungfrau Grand Hotel & Spa has whipped up a way to pack a few extra hours into your stay by offering guests most treasured amenity of all, time. A day of hiking breathtaking alpine trails, swimming in crystal-clear mountain lakes, and unwinding in the spa at the Victoria-Jungfrau Grand Hotel & Spa can leave guests wishing for more hours in the day. Victoria-Jungfrau Grand Hotel & Spa has begun granting this wish and giving guests a chance to extend their dreamy Swiss stay with Your 30-Hour Day package. Valid until December 23, each night booked at the Interlaken hotel will last 30 hours, rather than the usual 24. This means a three night with a 5pm arrival will accrue an extra night free of charge! Rates start at CHF 345 (approximately $436 USD per night). Upon entering one of the Victoria-Jungfrau’s secluded Bel-Air spa suites, it may be impossible to fight total, immediate relaxation. The hotel’s “72 Hours in Your Bathrobe” package encourages guests to ditch their suits at the door and spend three full days lounging in plush bathrobes in and around the spa. Upon arrival in Zurich, guests are met by private chauffeur and driven to the hotel, then welcomed to by-pass reception and head straight to a luxurious Bel-Air suite, equipped with private balconies boasting stunning mountain views. From the Bel-Air suite, the spa beckons, promising a day of complete unwinding with six hours of custom spa treatments, including ESPA or SENSAI SELECT face and body treatments, as well as indoor and outdoor pools, Jacuzzis, whirlpools, and the newly re-opened sauna with candlelit relaxation room. At night, there is no reason to dress to impress as guests are invited to leisurely dine at the Spa Café or within the privacy of their suite. Rates start at CHF 3315 (approximately $4,161 per night). Summer is over, that chill is starting to creep back into the air, and pumpkins are showing up in grocery stores and at farmers markets. That tan is lingering, but for how long? No need to suffer goose bumps to get those last few rays of sun through the fall – we’ve consulted with some experts at ESPA and Guinot to find out the best ways to keep that golden tan! Step 1: Stock your bathroom larder with ESPA’s Invigorating Salt Scrub, Essential Body Moisturizer, and Body Silk Spray. Step 2: After catching some rays, be sure to exfoliate once or twice a week. ESPA’s Salt Scrub is an excellent exfoliator and will help the tan go deeper and make the skin hold its color longer. In addition to nourishing and making the skin feel smooth and fabulous, it stimulates pigmentation for a deeper tan, affecting new cells instead of only the top layer. Step 3: Slather on some Essential Body Moisturizer to instantly quench thirsty skin, deeply hydrating with Bergamot and Lavender. Step 4: Spritz on a bit of Body Silk Spray to give the skin a silky sheen and radiant glow, making any tan shine brighter. Step 5: Be the envy of the office for weeks to come. Step 1: Fill the cabinet with Gommage Facile smoothing body scrub, Hydrazone Corps moisturizing body lotion, and Auto Bronze self tanning cream. Step 2: Lather up with Gommage Facile to make your skin silky smooth and slough off any dead skin cells. Step 3: Watch your skin become instantly bronzed while applying Auto Bronze self tanning cream – tinted to make application fool proof and to give an instant tan. Step 4: Keep skin plump, hydrated, and healthy (and extend the life of your self tan) in between bronzing with Hydrazone Corps moisturizing body lotion. You’ve always dreamed of being your own boss – now you can be! For the first time, in celebration of Wellness Month at Parrot Cay & COMO Shambhala Retreat, the resort will be offering a special self-administered juice cleanse borrowed from COMO Shambhala Estate in Bali. The resort’s team of experts has designed this exclusive cleanse to help expel toxins and to rejuvenate both the body and the mind. Maybe you’ve indulged in a few too many frozen cocktails or perhaps you’ve just been staying out late on these warm summer nights. Either way, the juice cleanse will help your body recover, giving it the break it needs to recharge and refresh and avoid those post-summer blues. The meticulously outlined cleanse lasts three days and is specifically designed to simultaneously detoxify and nourish. “Juice bosses” visiting Parrot Cay will be able to choose from a menu of cleansing beverage options including stand-outs like the ‘Kryptonite,’ a post-workout muscle builder that protects the heart, boosts energy, promotes healthy skin, and contains apple, fennel, cucumber, spinach, green bell pepper, celery, sunflower seeds, macadamia nuts, and spirulina powder; the ‘Liven Up Your Liver,’ which supports liver detox functions and cleanses the blood, and contains carrot, celery, beetroot, bok choy, arugula, ginger, and turmeric root; and who wouldn’t want to try the ‘Bloat Away’ juice? This refreshing concoction features cucumber, parsley, celery, fennel, pea, and mint, and relieves bloating and water retention, supports kidney function and weight loss, and lowers blood pressure. Each day, the pollutants and chemicals in the air we breathe and in the food we eat accumulate in the body as ‘toxins’. The COMO Shambhala cleanse gives our bodies the opportunity to recover and is the perfect pick-me-up as we head into fall! When you think of Labor Day, perhaps boats, beaches, and barbeques jump to mind. But at Anantara Hua Hin Resort & Spa, Labor Day this year is all about the elephants! 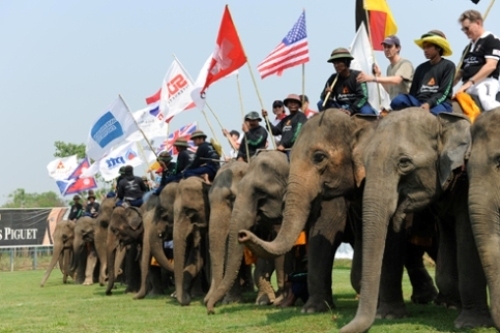 The 2011 King’s Cup Elephant Polo Tournament begins this Monday, September 5 and lasts until Friday, September 11. The tournament will be celebrating its 10-year anniversary at the resort and, like with any big birthday party, there is a lot to look forward to… The elephants won’t be the only ones trumpeting, as it all kicks off with a spectacular opening parade featuring a brass band. Some very special guests will also be in attendance, including polo-loving members of various European and Asian royal families, an all-women elephant polo team, the Spice Girls, and New Zealand’s professional rugby team, the All Blacks. We can’t wait to see how it all plays out!